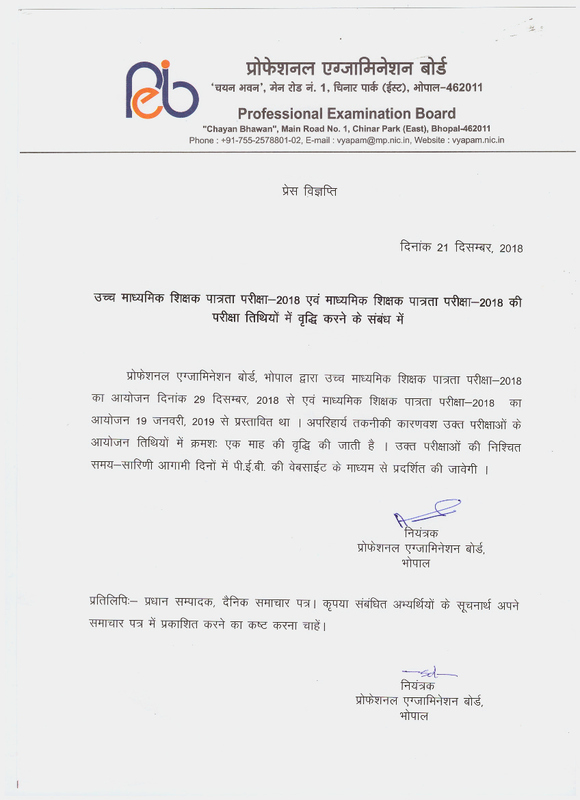 Short Information : Madhya Pradesh Professional Examination Board (MPPEB) Are Recently Uploaded Answer Key for the Middle School Teacher Eligibility Test MP TET 2018. All Registered Candidate Can Download Answer Key Now in The Given Link Below. Payment Mode: Pay the Exam Fee Through Credit Card/ Debit Card/ Net Banking/ MP Online KIOSK Fee Mode. Bachelor Degree in relevant Discipline with 2 years Diploma of Primary education.OR Bachelor Degree with minimum 50% marks in the subject & 1 year graduate degree in education (B.Ed.). OR Bachelor's Degree with minimum 45% marks in respective subject & in this regard from time to time, the National Teacher Education Council OR Higher Secondary or its equivalent with minimum 50% marks & 4 year bachelor (B.L. Ed). OR Higher Secondary or equivalent with minimum 50% marks & 4 year bachelor's degree in related subjects (BA / B. Sc / B.Ed). Selection Process: Selection on the basis of Written Exam.